I am sure every woman will agree with this that finding the right foundation is like winning a battle. Most of us do not know how to pick the right foundation. All foundations look great in store light and when you come home and apply, you will find them either too oily, cakey or just not in match with your skin. So disappointing !!! If you are not applying correct foundation then no amount of makeup can save your look. Not every foundation is meant for every kind of skin. So knowing about your skin and skin undertone is extremely important, without that knowledge you will always end up picking wrong foundations. If you have oily skin then choose an oil-free or mattifying foundation. For medium coverage opt for the liquid foundation while for full coverage go with creamy or compact formula. Look for Silica Beads And Lecithin as ingredients in oil-free foundations. Maybelline New York Fit Me Matte + Poreless Foundation is one such foundation. You need something which makes your skin look hydrated & Moisturised. So pick accordingly. Opt foundations which are for the glowing and dewy skin. If you want sheer coverage then go with BB cream or tinted moisturizer instead of heavy foundation. For full coverage opt creamy liquid or mousse foundation. It is generally written clear on foundations that they are suitable for which kind of skin undertone. So pick accordingly. General Rule: Foundation for cool undertone is slightly pinkish. For warm undertone, it is subtle yellow or slightly golden. Shade should blend in perfectly with your skin. It should not give lighter or darker look. Remember the purpose of the foundation is not to make you look fairer but to make your skin look even and flawless. Do not pick a foundation by applying it over your wrist or hand. Apply one shade from cheek to jawline and, blend it, apply a lighter shade above it and blend and a darker shade below it and blend. whichever blends perfectly on your skin, choose that one. Check for the perfect blend in daylight, store lights are always misleading. Our neck skin is generally lighter than face skin so choose a foundation one shade lighter. Always look at your jawline after applying foundation— a noticeable difference is there between your neck and your face, then the foundation shade is not correct. 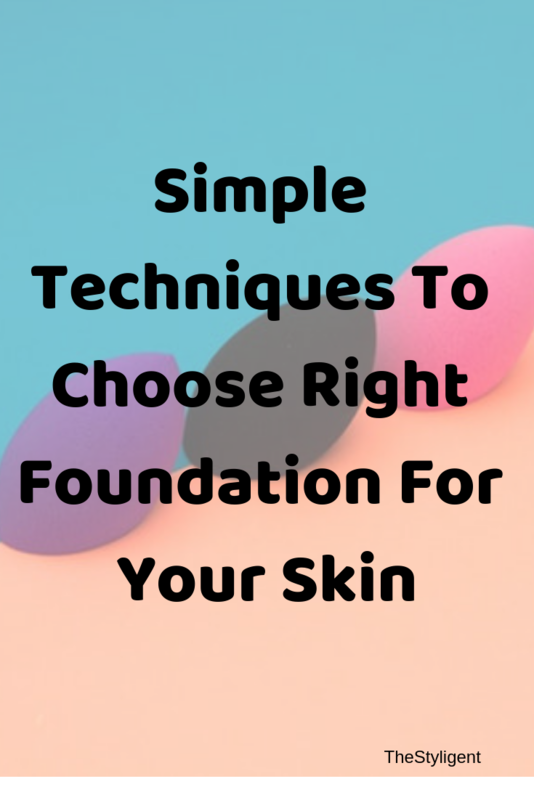 So this is how you can pick right foundation for your skin.